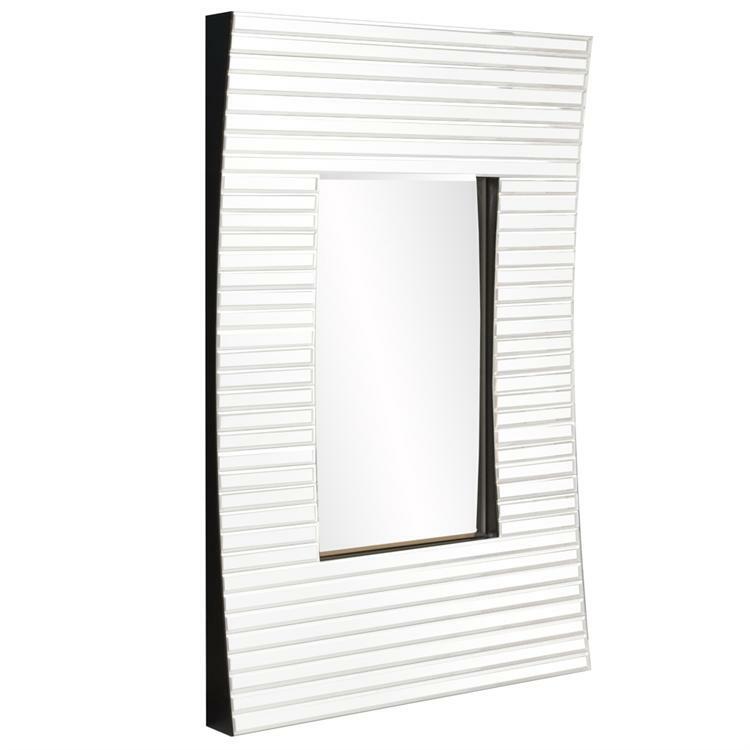 The Eastland Mirror is a stunning mirror featuring a rectangular frame with bowed effect. Horizontal white mirrored tiles adorn the frame completing its Contemporary look. The mirror is beveled adding to its style and beauty. It is a perfect focal point for any design. The Eastland Mirror can be hung in a horizontal or vertical orientation. Also available in clear and black mirrored glass. Customizable for larger orders.